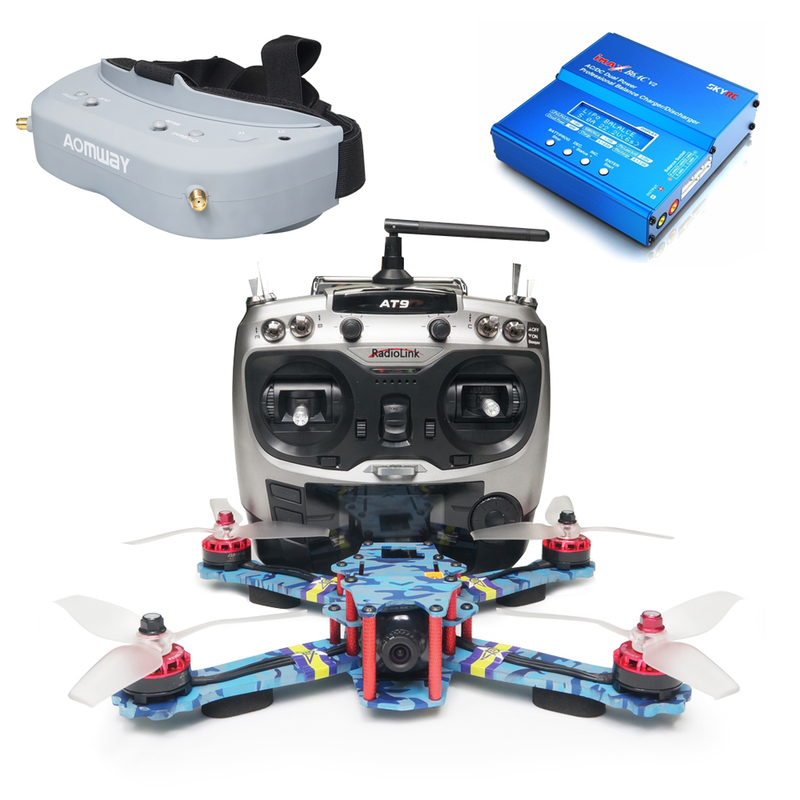 ARRIS C250 V2 250mm fpv racing quads rtf with Aomway Commander V1 boundle comes with everything you needed for FPV. The ARRIS C250 V2 is fully assembled and tested before leaving the factory, and the radio is upgraded to AT9S.With the goggle, you can begin your FPV journey. Manual mode is useful for acrobatics such as flips or rolls, or FPV when smooth and fast control is desired. The picture below is what we set on our own Radiolink AT9S Radio. RadioLink AT9S 9-Channel 9CH 2.4GHz Transmitter + R9D Receiver.The AT9S radio is with high performance-price ratio. And it can support strength, receiver voltage monitored, extending battery voltage, temperature, motor RPM, GPS etc. Aomway Commander V1 FPV goggles comes with 16:9 and 4:3 switchable display radio with 32�FOV.With the HDMI port, it supports 720P and 3D signal inputs.Commander V1 goggle also comes with 5.8G 40CH built-in diversity high-sensitivity diversity module,DVR function and head tracker (optional).It supports the diopter lens, -2, -4 and -6 dpt.are optional.The goggle also comes with high-speed ventilating fan installed to prevent fogging up on screens. Note: Due to the battery in the parcel, the shipping time may take longer than usual!